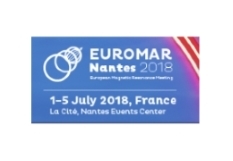 This year’s EUROMAR NMR conference will be held at La Cité, Nantes Events Center in France. The conference officially starts on Sunday July 1 with Mestrelab Users’ Meeting in the morning. We would like to invite you to join us for our usual fun and information-packed session and also to pop over our booth#3 during the week.